Legendary B-movie impresario Roger Corman will become one of the first big-name Hollywood filmmakers to launch his own YouTube content channel this summer. Dubbed “Corman’s Drive-In,” the project will be a collaboration with longtime producing partner Julie Corman, and will be part of YouTube’s new platform offering viewers more channels through a paid subscription model. The channel will be curated from the Cormans’ library of more than 400 classic films, providing direct access for the fans faithful as well as newcomers to the titles. Under the banner of New Horizons Picture Corp., the Cormans say they will use this venture to not only expand distribution of these classic titles, but also provide an outlet for new films in production. Corman’s films will be accompanied by personal introductions from the producing couple, as well as interviews regarding their production and stars. “This exciting launch on YouTube creates a myriad of opportunities for us, especially as we continue to develop and produce new titles to complement the existing film catalog,” added Julie Corman. The launch keeps pace with a rising trend in direct-to-consumer distribution, where audience members have more direct access to their favorite content creators than ever before. Corman’s prolific career has generated such cult titles as Deathrace 2000, Little Shop of Horrors, Piranha, Rock ‘n’ Roll High School and Grand Theft Auto. He has been a mentor and/or producer for iconic American filmmakers including Francis Ford Coppola , Martin Scorsese , Ron Howard , James Cameron , Peter Bogdonovich, Jonathan Demme, John Sayles , Joe Dante, Gale Anne Hurd and others. He won an Academy Award for Lifetime Achievement in 2010. 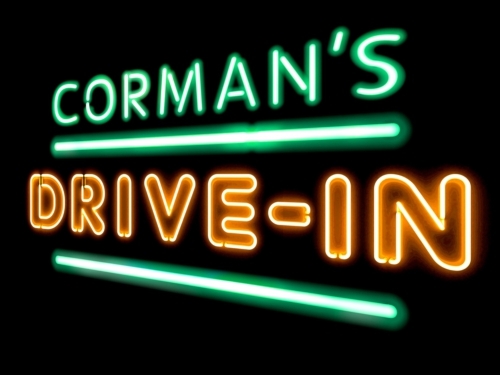 This entry was posted in Film, Los Angeles, Technology, Uncategorized and tagged Corman's Drive-In, Julie Corman, Roger Corman, YouTube. Bookmark the permalink.